Lock in a great price for Inselhof Vineta – rated 8.4 by recent guests! The beach is about 15min on foot and it's beautiful white sand one. There's a nice little supermarket on the way and restaurants all around it. We did not try the spa part, so can't say anything about it. The Comfort Room was very nice, spacious and with a private terrace. All new/renovated. Restaurant offered good choice of food, coffee, cakes etc. There was also entertainment one night. Surroundings nice and peaceful, close to lake and cosy village. Walking distance to lovely beach. Absolutely recommendable. Frühstück sehr gut. Immer nachgelegt. Lässt keine Wünsche offen. Wunderschöne Lage direkt am Achterwasser. Schöne Zimmer. Sehr gutes Frühstück. 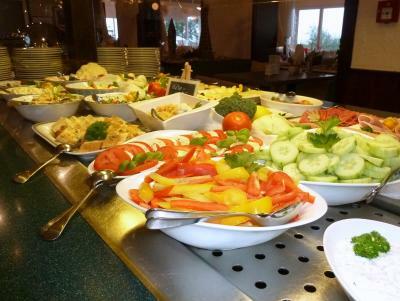 Frühstück ist super, Abendbrot auch sehr gut für unserem Sohn (11 Jahre) war mal nichts beim Buffet, dann wurde die Karte gegeben und er durfte sich dort was aussuchen, total Problemlos einfach toll. Die lage ist sehr gut! Das Frühstück war gut, aber es gab jeden Tag das Gleiche. Das Essen im Restaurant war super, aber etwas überteuert, genau wie die Getränke. Die Lage ist ausgezeichnet! Alles sehr gut. Zimmer sauber und gepflegt. Frühstück lecker. Sehr zu empfehlen. 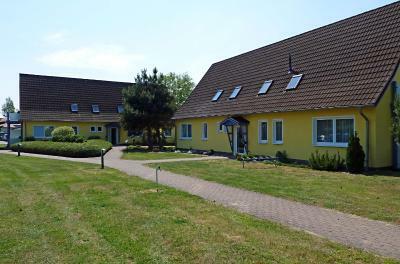 Inselhof Vineta This rating is a reflection of how the property compares to the industry standard when it comes to price, facilities and services available. It's based on a self-evaluation by the property. Use this rating to help choose your stay! 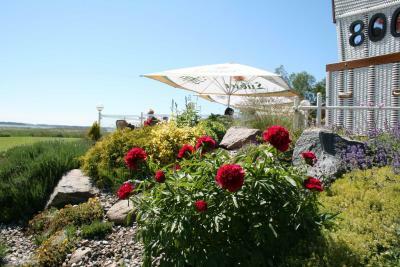 One of our top picks in Zempin.This peaceful resort offers a spa and a restaurant. It stands beside the Achterwasser Bay, a 15-minute walk from Zempin’s beach. 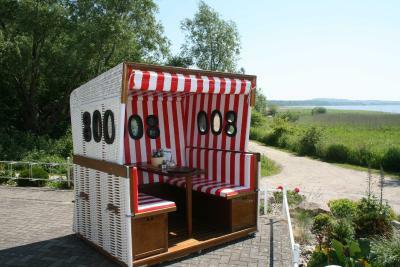 The Inselhof offers rental bicycles for exploring the surrounding Usedom Nature Park and the Baltic coast. A shuttle service to the beach is also provided. When would you like to stay at Inselhof Vineta? This room includes a seating area with flat-screen TV and an private bathroom with shower. There is space in this room to accommodate an extra bed or a baby cot. The maximum occupancy of this room is 3 people. Extra beds must be requested when booking. Please note that bathrobes are available for a fee of EUR 7 per person per stay. Outdoor furniture is available on the terrace. Includes a separate bedroom, living room with flat-screen TV, and balcony or terrace. Upon booking, please state how many people will be staying, their ages, and whether children's beds are required. Please note that the price is based on 2 guests (see Policies). This room includes a seating area with armchairs, a mini fridge and a flat-screen TV. A terrace is also included. 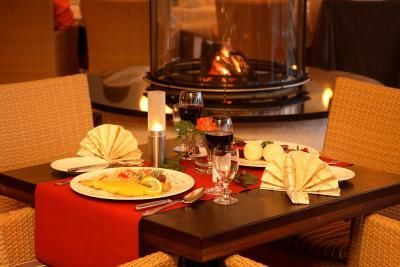 Guests in extra beds pay a one-off payment of EUR 15, which includes breakfast. Located in the loft, this apartment consists of a living room with balcony, bedroom and child's room. A flat-screen TV and a mini fridge are included in the living area. Guests in extra beds pay a one-off payment of EUR 15, this includes breakfast. House Rules Inselhof Vineta takes special requests – add in the next step! Inselhof Vineta accepts these cards and reserves the right to temporarily hold an amount prior to arrival. Please note that reception is open from 08:00 until 19:00 or 08:00 until 17:00 in the winter season. Guests arriving after 18:00 are kindly asked to contact the hotel in advance. Contact details can be found on the booking confirmation. Room keys can be picked up at the hotel restaurant, which is open until 22:00. Breakfast is available between 07:30 and 11:00, lunch between 11:30 and 15:00, and dinner between 17:00 and 21:00. Most reception people were not very friendly and seemed unwilling to respond nicely to questions from the guests. Breakfast was nice and the restaurant staff was friendly but most of the fruit was not fresh (seemed canned & sugary). The cleanliness of the room was questionable: the towels were changed and the beds were sort of made, but the bathroom floor and sink were not cleaned the whole 3 days we were there.